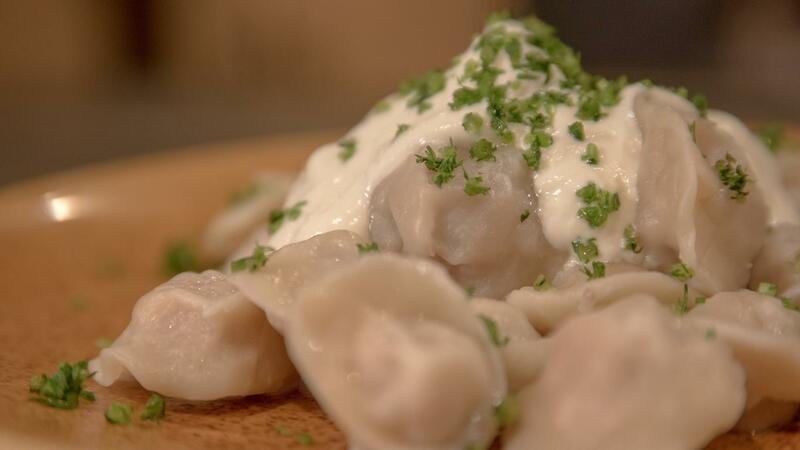 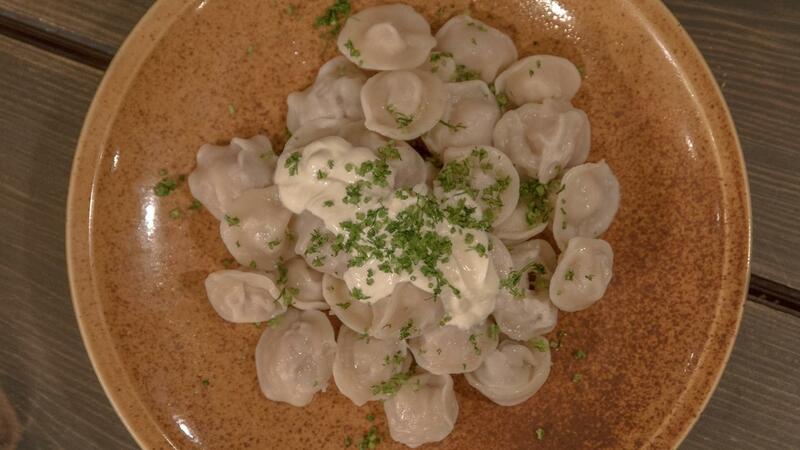 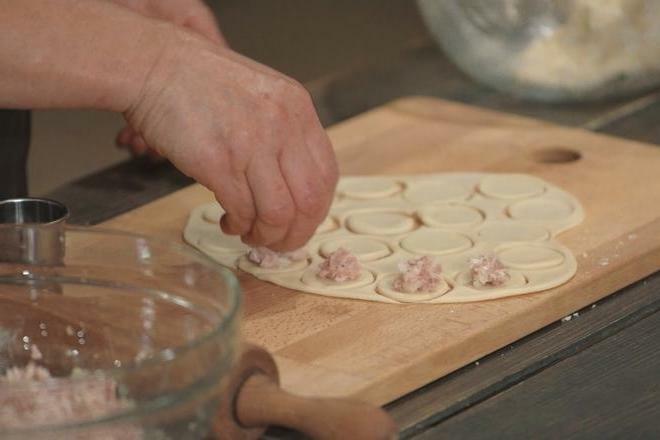 Dumplings were brought to Northern shores of the Black Sea in the end of the 14th century in the beginning of the 15th century by the Tartars and Karaits. 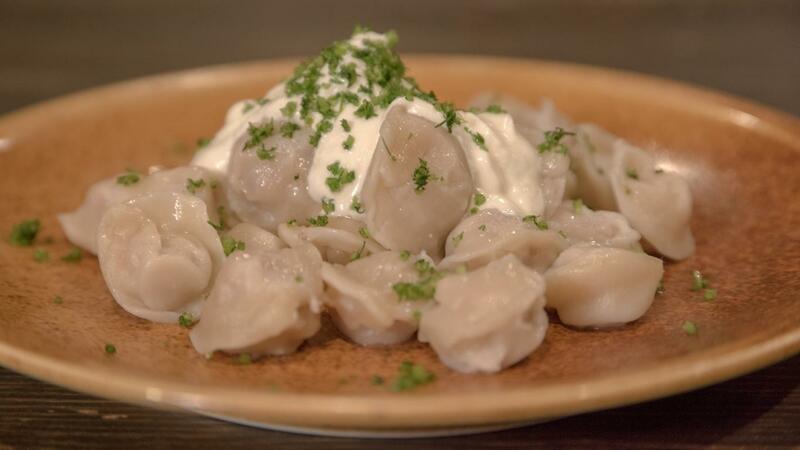 The word "dumplings" is derived from the Tartar word kundum. 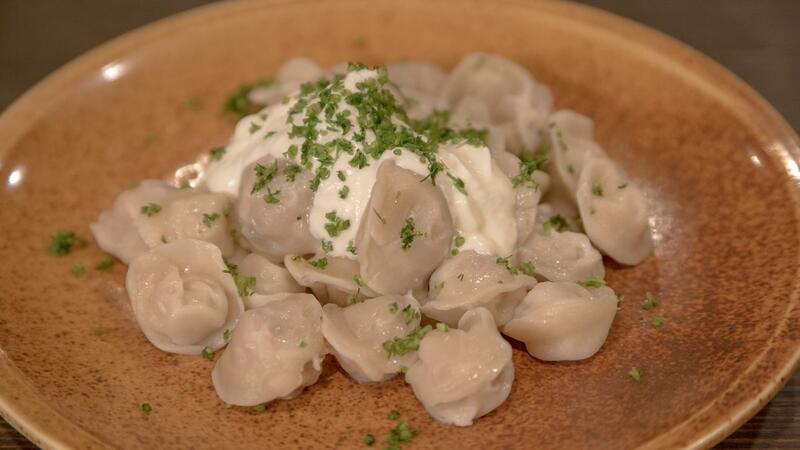 Totoric kundum are large dumplings, stuffed with very fatty veal or beef, with marjoram, onions and black pepper. 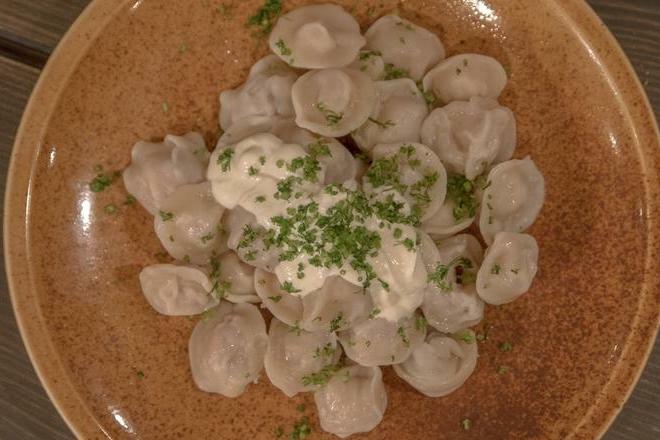 Distinctive cooking and eating customs are related with them. 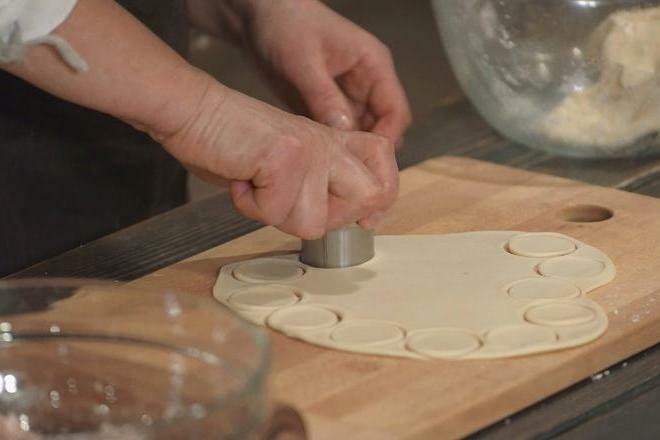 It is said that if a girl is able to make even and beautiful bending edges, she can already get married. 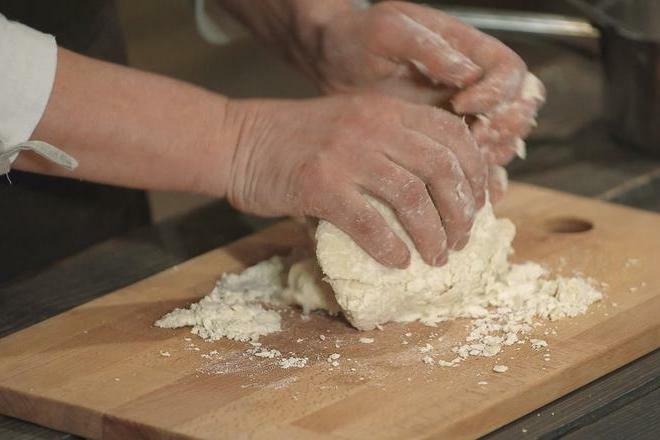 Various kinds of wheat flour are used for dumplings. 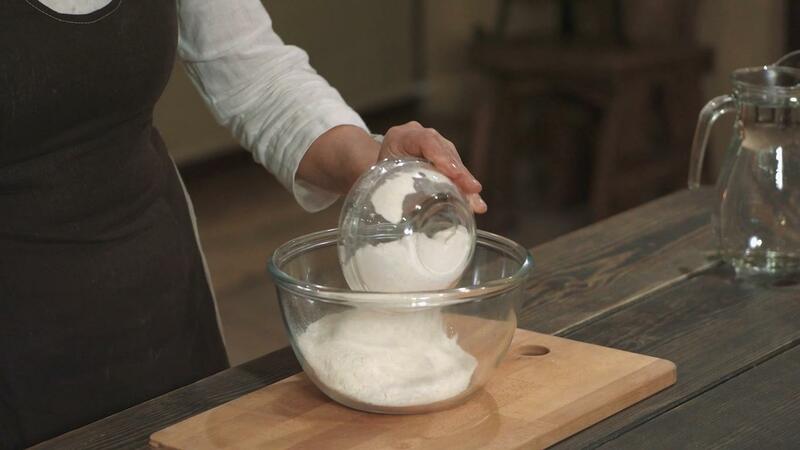 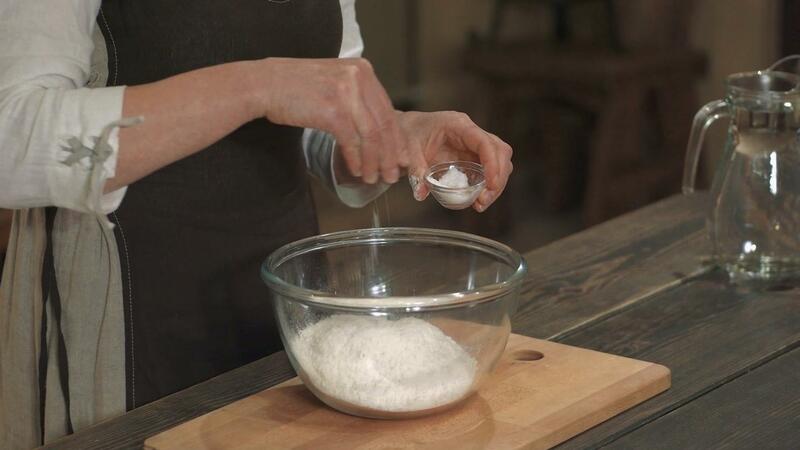 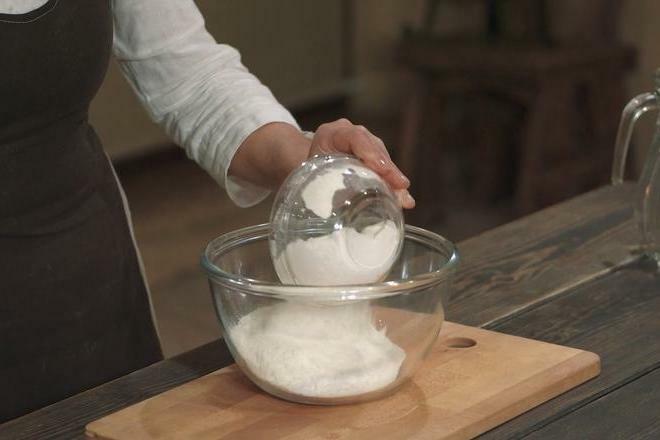 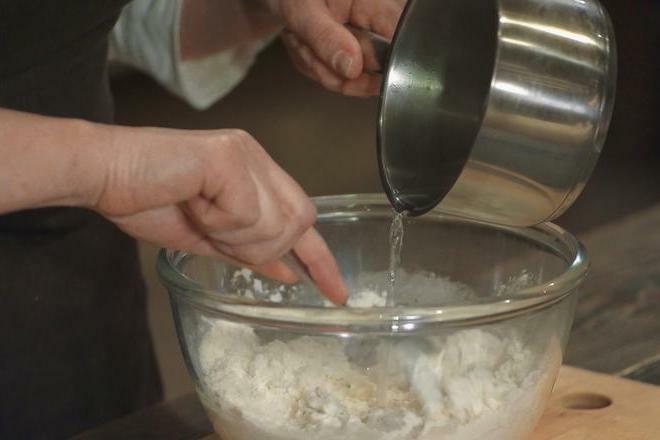 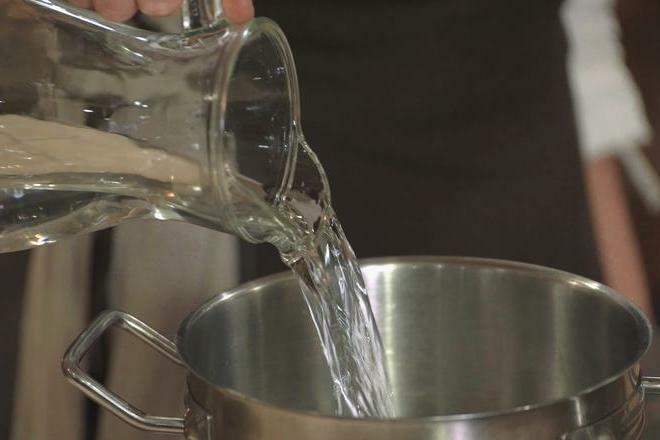 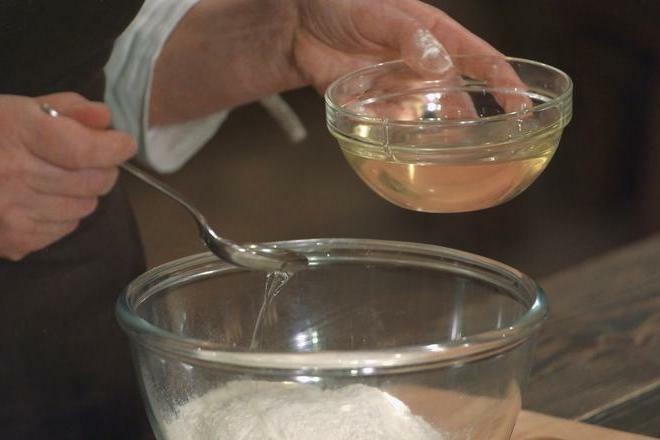 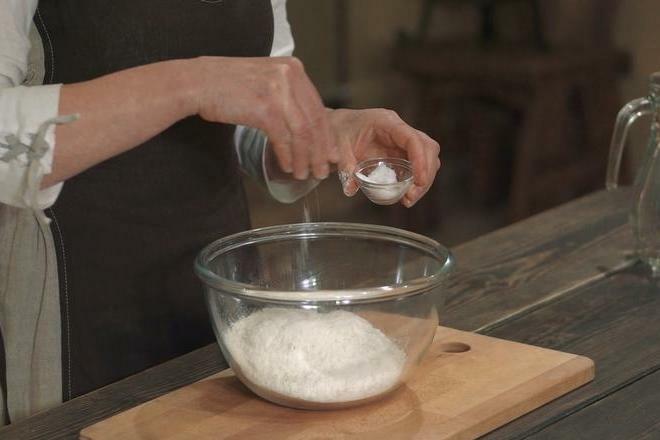 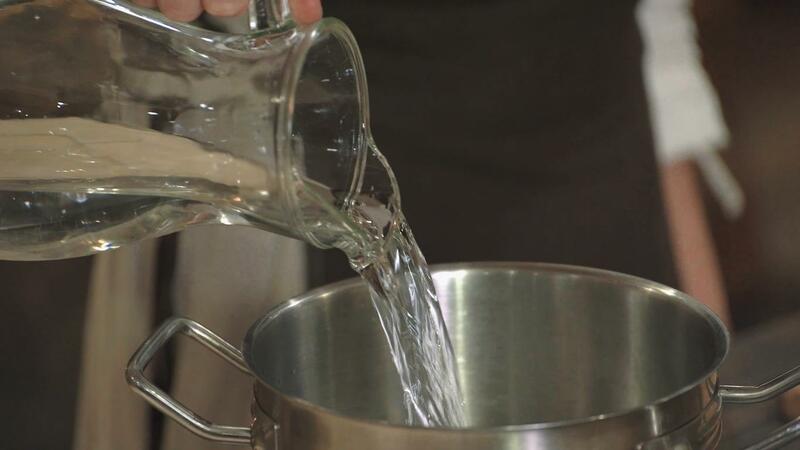 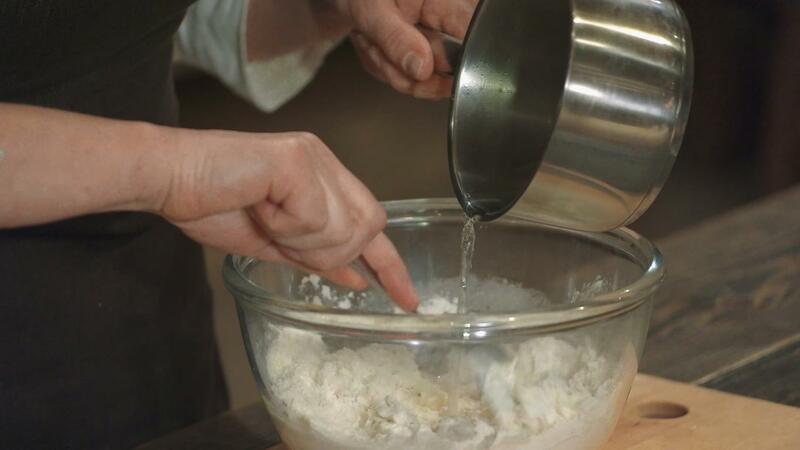 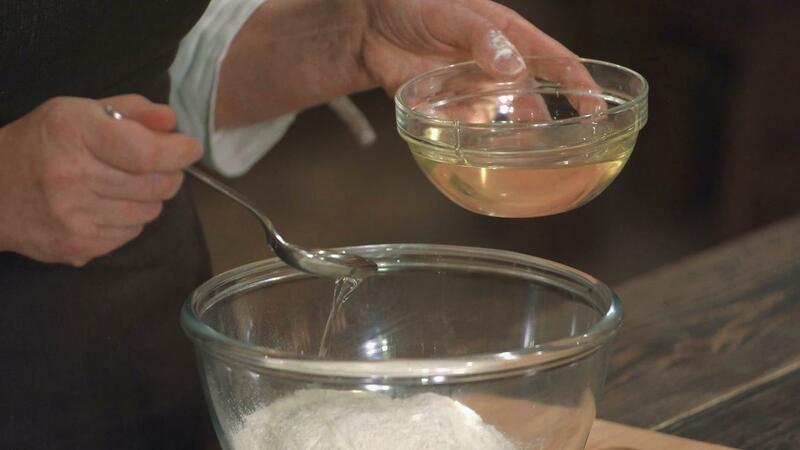 Make medium-hard dough from flour, salt, oil and boiling water. 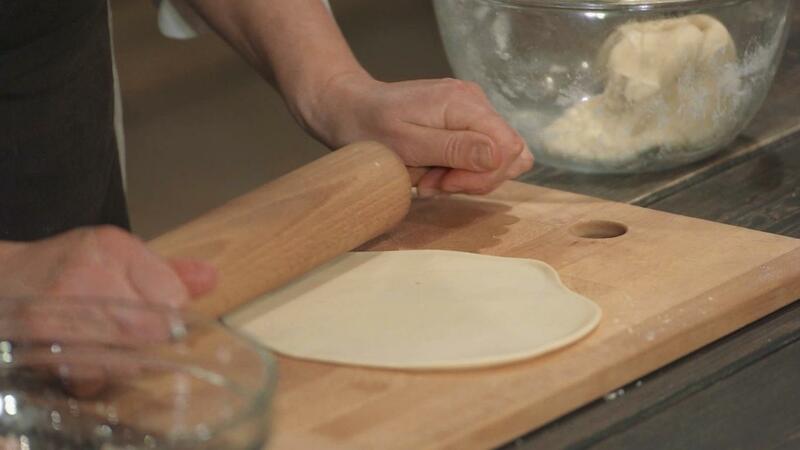 Keep the dough in the refrigerator for approximately 30 minutes. 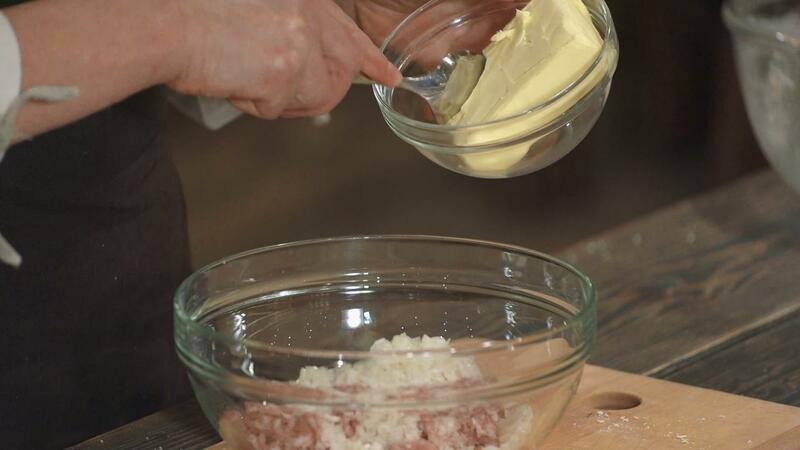 Ingredients for stuffing: 300 g minced meat, 1 onion, a tablespoon of butter, pepper. 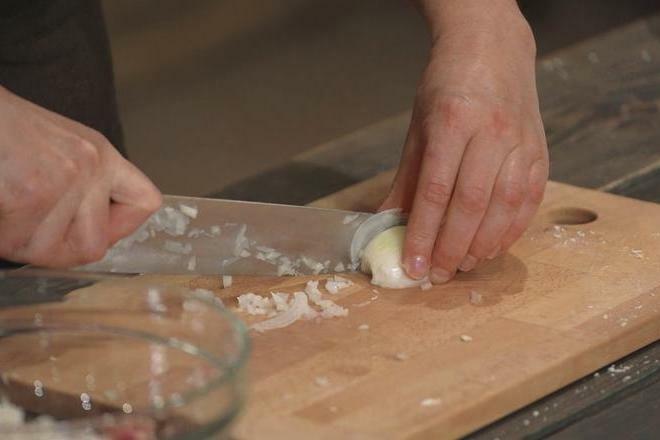 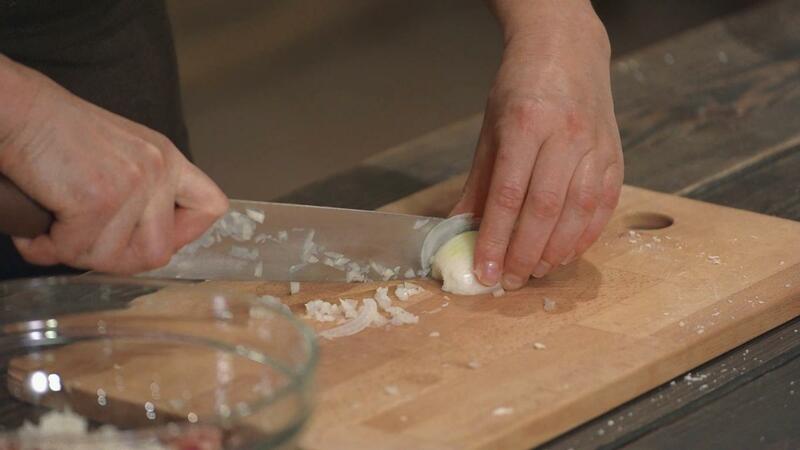 Cut the onion finely and add it to the meat, add pepper, salt, mix butter. 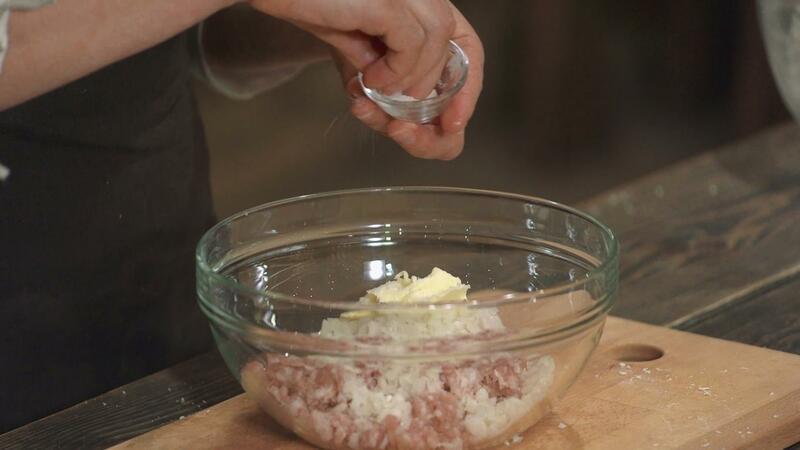 If the meat is lean, you can add a bit of flitch. 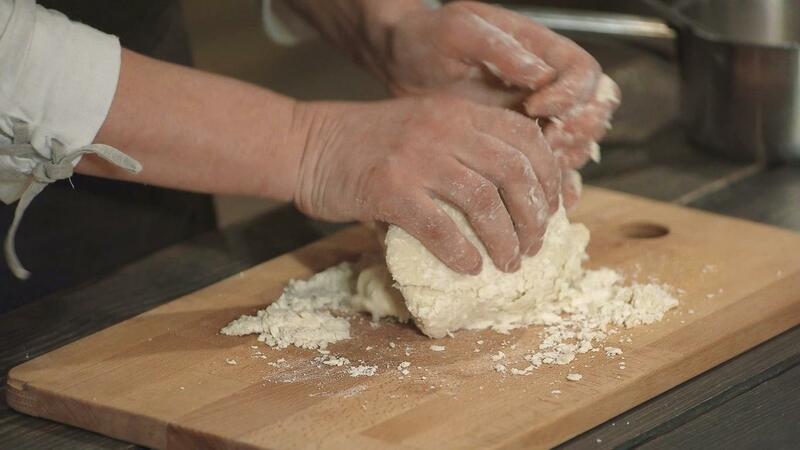 Roll out the dough finely and form the scones. 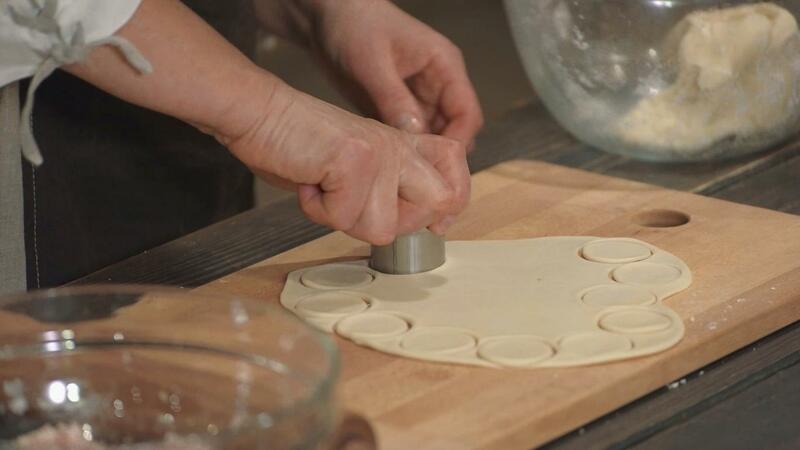 Put the stuffing and close edges. 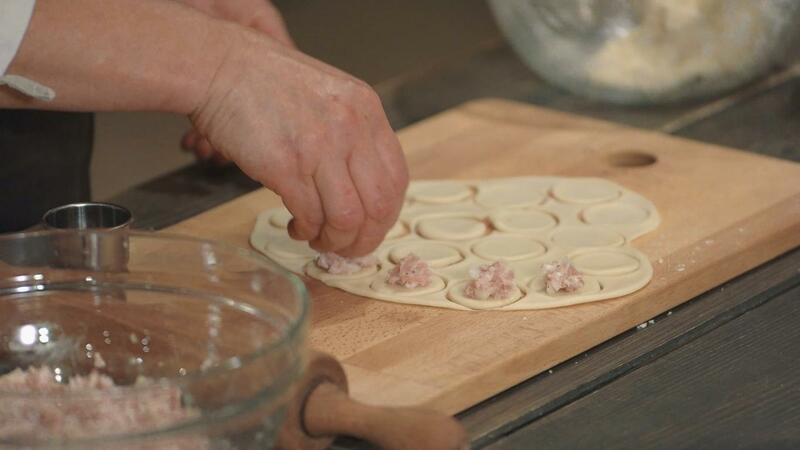 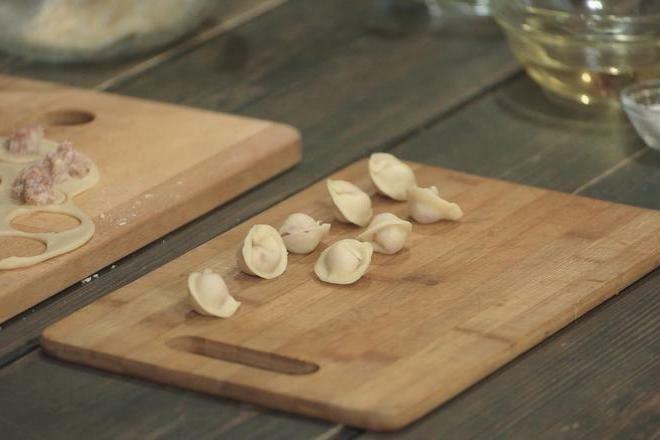 Put the stuffed dumplings into boiling salted water and boil - the smaller ones until they appear on surface, and the larger ones - for a longer time. 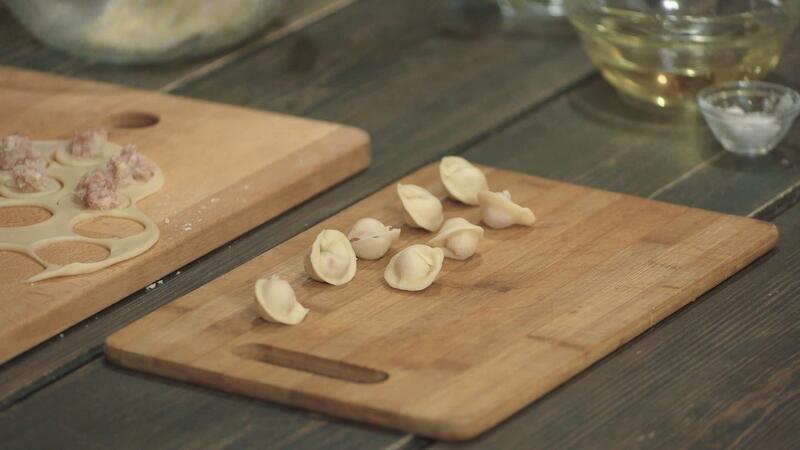 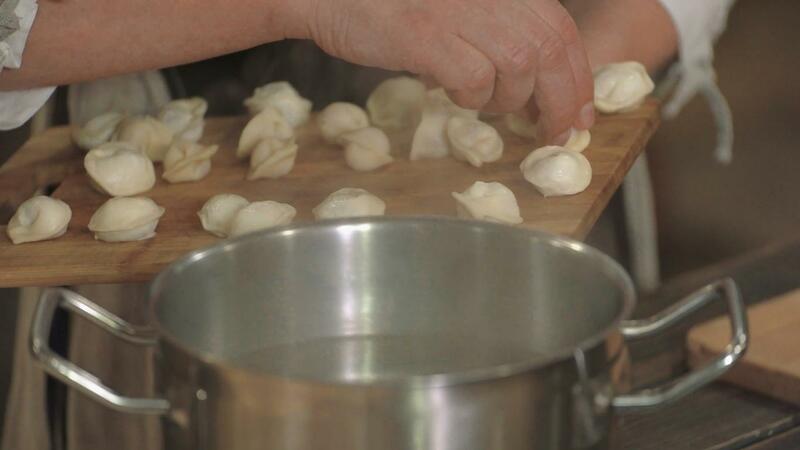 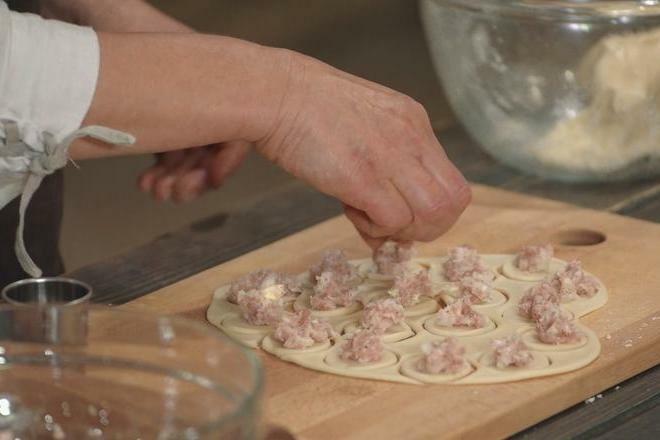 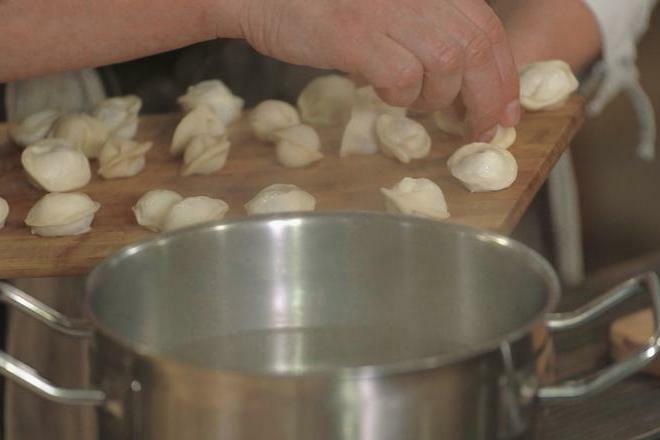 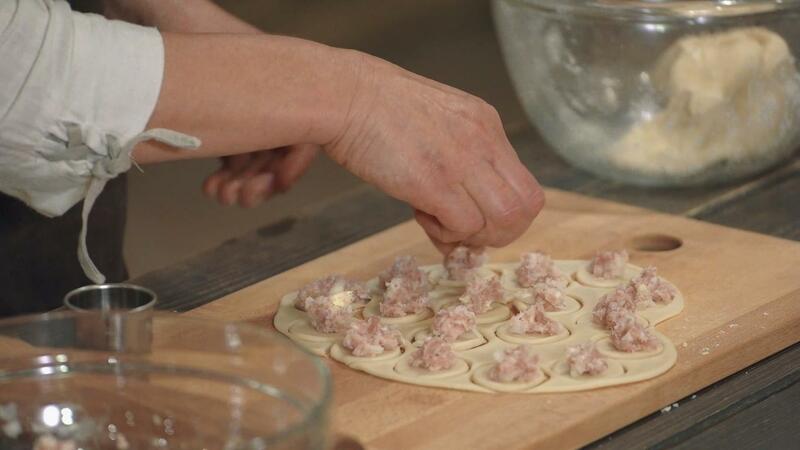 Take out the boiled dumplings with a strainer and place on a plate. 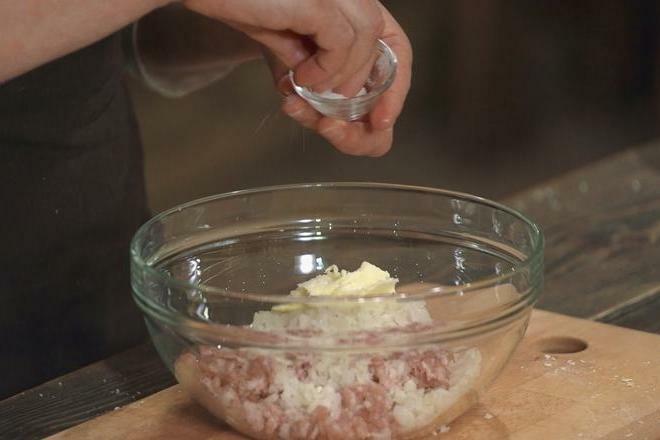 Serve with cracklings, butter or sour cream sauce.